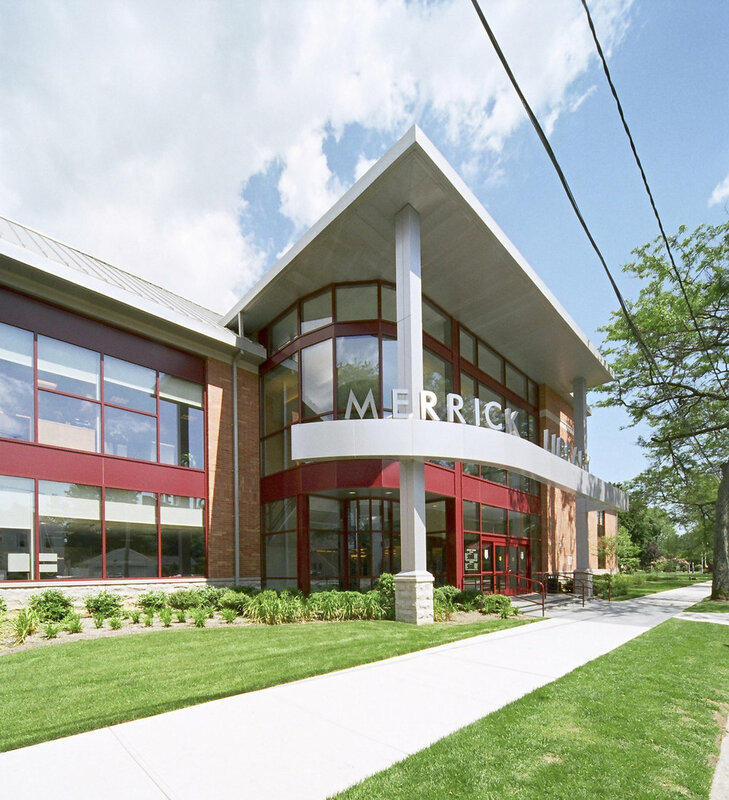 Located in the Village of Merrick on Long Island, this new 29,000-sf library replaces the original library built in the 1960’s which the community has long since out-grown. Designed to fit within the scale of the surrounding residential community, the library occupies two stories, with adult services and the multi-purpose room on the main level and children’s, A/V, young adults’, and staff located on the upper level. The adult reading areas on the main floor are designed around a rear landscape garden, which is accessible for outdoor reading and opens into the meeting room for outdoor receptions.